Never in the history of chiropractic has there been more ways to get the message of chiropractic out to the masses than there are today. Besides old school ways like newspaper ads and direct mailers, chiropractors now have a myriad of choices at their disposal that help advance their cause for pennies on the dollar. For example, advancing technologies allow chiropractors to easily promote their message through their chiropractic websites, social media sites like Facebook and Twitter, email, text, pay-per-click ads, video marketing on YouTube, and local listing opportunities just to name a few. But even though they have more choices doesn’t mean they’re reaching more new patients. 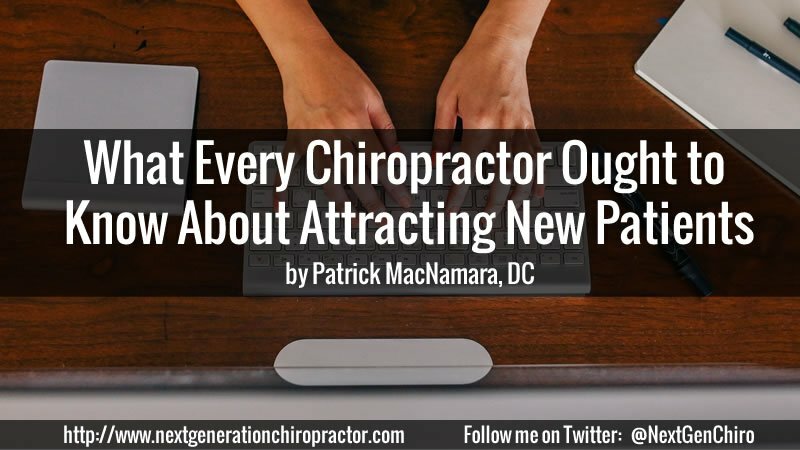 Instead, chiropractors miss most opportunities simply because they don’t understand the technology, aren’t sure how to implement things or don’t have a clue on how conversion funnels work. This will probably go down as the shortest blog post I’ve ever written. 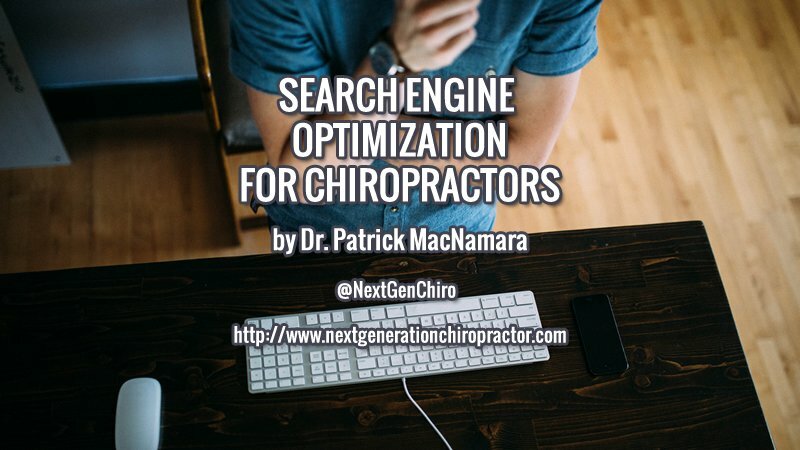 I’m not suffering writer’s block, I haven’t lost my creative edge, and my passion for chiropractors to learn about Internet marketing has never been stronger. But since the beginning of this year, I’ve noticed an interesting pattern — the conversation about the content I write has shifted aggressively through a medium that’s been around for over 40 years. What antiquated technology could possibly be better than a blog, Facebook and Twitter combined? I’ll be perfectly frank with you. Internet marketing is a pain. Especially when you have patients to see, employees to manage and a practice to grow. Sometimes it can seem like a never-ending cycle of to-do lists. Other times it’s just flat out frustrating. Take Facebook, for example. Just when you figured out how to get more ‘LIKES’ in exchange for potential chiropractic patients, the social media behemoth smacks everyone down with a ‘pay-to-play’ model. But if you don’t even know the basics of how to set up a rewarding Facebook marketing campaign, what’s the use in spending money with them? The good news is that Internet marketing doesn’t have to be a pain. 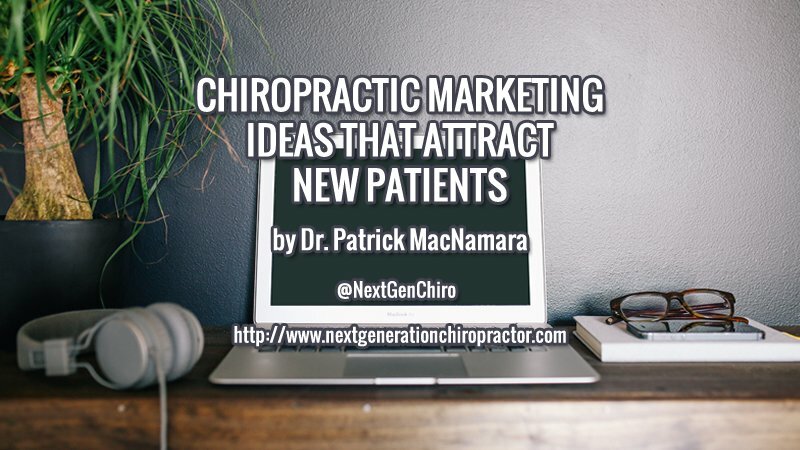 Chiropractic marketing ideas are a dime a dozen. However, chiropractors looking to grow their practices and to expand their patient base should focus on the Internet these days. 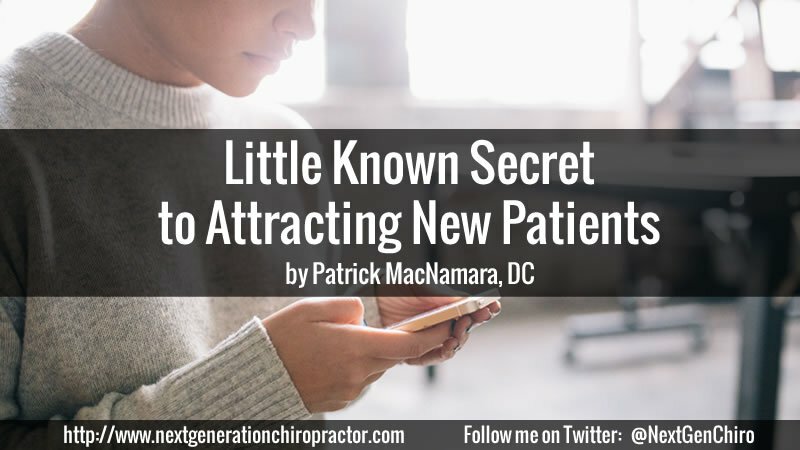 But, since the Internet is such a large playing field, getting started on the path to chiropractic marketing success can be somewhat confusing to the newcomer. 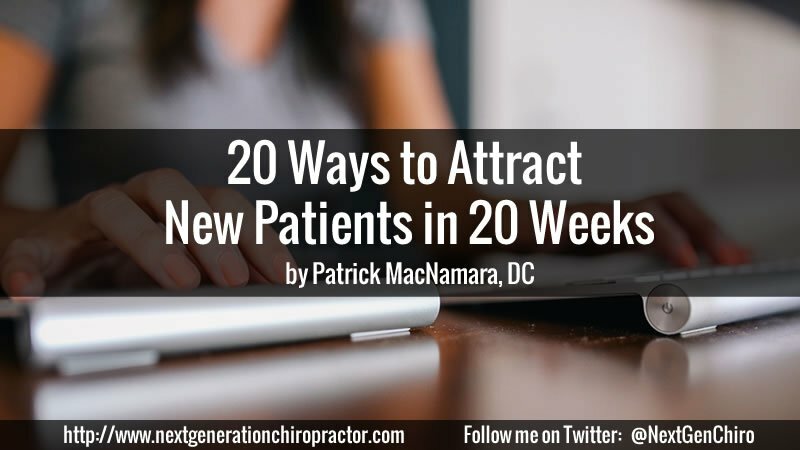 This is why I have put together this short collection of chiropractic marketing strategies that can help you make the most of this wonderful tool.